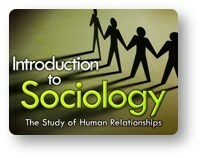 Red Comet, an accredited, self-paced, online high school launches a credit course on Sociology I. Red Comet’s “Sociology I: The Study of Human Relationships” is a new elective that launched this summer to supplement the existing high school curriculum. The world is becoming more complex. How do your beliefs, values and behavior affect the people around you and the world we live in? Sociology is the study of human societies – their origins, their development and their interactions with each other. This course examines all spheres of human activity in relation to the interplay with social organization and structure. In this increasingly connected world, students examine problems in our society and learn how human relationships can influence the life of the student. Exciting online video journeys to different areas of the sociological world are presented in the course. Online classes offered by Red Comet are utilized nationwide. Core subjects included in the curriculum are Social Studies, Science, Mathematics and Language Arts. Students utilizing the online learning program from Red Comet can meet a range of needs, including credit recovery for students who may have fallen behind, high school classes for public school students unable to attend classes in a physical classroom, and even home school high school students requiring additional help.